The Castlemaine Jazz Festival June 7th and 8th 2014. The Friday session this week features Anne Gottabluefrock Hayres accompanied by the Debonair John Curtis and the Curtis All Stars: dave Taylor (bass) Phil Hayter (Sax) and Putna Mondrum (percussive nonsense in the background) A classy line up. Last week, the Divine Miss Smith entertained a goodly turn out of people as only the DMS can (alternating sassy renditions with outrageous asides…) The audience numbers have grown week on week – keep it up! Some reflections on John Donne, English Poet and Satirist . . . Nothing if not classy in the gossip column… I think it was JD who said I am unable, yonder beggar cries, To stand, or move; if he say true, he lies. Only one cannot be sure as the tape recorder had not yet been invented. Anyway, you may be wondering (God Knows, I am) what this has to do with the Gold Street Gossip Shop and Tearooms and its weekly gathering of musos, and I use the term in its loosest sense. Anyway, back to the Jam Session – a smaller turnout thn usual, but props to Bishop Bennett from staying way past Compline and providing the very best bass accompaniment, to Sebastian the Bash and Ali The Thwack for drum duties, to Ron the Fingers for some great piano, and, late in the day to Ian Andrews for some nifty guitar work. And to Sonya for pulling out some obscure charts and bringing the bebop to life, Chelly for a great take on Sugar, Celeste for making sense of Hey Big Spender, and La Smiff for putting it all to bed. John Donne? Well I am unable could refer to anyone or everyone, yonder beggar cries is a clear reference to the poor mongrels in the front bar who have been reduced to tears on occasion, To stand , or move is when Glen gets all agitato about the doorway, and if he say true, he lies could possibly be a description of the Captain’s calling of fours. See ya next week. (1) yes it did see below! Tomorrow when thou leav’st, what wilt thou say? The Friday sessions see the Divine Miss Smith on 24th January, always assuming she turns up, and even remembers to bring her charts with her. The sublime Andy Moon on bass, Dean C on drums and quite possibly a surprise appearance by none other than Captain Chaos hisself. Should be a good night. And next week, Miss Anne Hayres on 31st January. Or better still. Don’t Miss Anne Hayres. A number of jammers are already getting other gigs at RMR, which is great to see. If you haven’t dropped in, give it a whirl – it is a class venue. Plus Jess, Bishop Bennett, Putna Mondrum, the Captain, Ali and, for what turns out to be his last appearance Eric The Moose (saxaphone). He is off on his travels but added a touch of Canadian Class to proceedings – see ya Champ! All of which has made for a busy week – but if you haven’t got anything on this Sunday, get out of bed, get dressed, go home, have a late lunch, and we’ll see ya for a beer at 4pm.. Ya wouldn’t be dead fer quids! A brief update. We are about to go live on the website, and will be formally inviting bands to register within a week or so. Gulp. The Festival Committee (including Captain Chaos) has been working hard on the organisation – and has received a grant from Mount Alexander Shire to help with expenses – which are considerable. The event will be held over the June long weekend, using 8 different venues in Castlemaine, more information to come, but.. Put it in ya diary! 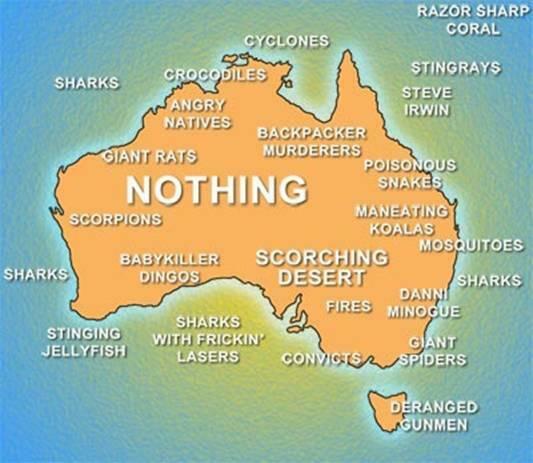 This Sunday is Australia Day! In conjunction with the Melbourne Jazz Jammers, The Leinster Arms is putting on a Sausage Sizzle/BBQ. We are thrilled to have KUNJANI with us again ! What an awesome way to start the year off at Jazz on Main.! Kunjani will have us on our feet dancing or at least tapping our feet and clapping our hands to their Afro Jazz/Funk/ grooves. What a treat this band is.! If you haven’t been to hear them before ,pop the date date in your diary and head on down to Lilydale. We have plenty of parking on the service Rd out the front, air con if its hot …and heating if its not ! Coffee and bickies included ! Francesca’s Bar, 222 High St, Northcote. The set programme runs 8-10pm and is followed by Open Mic until midnight. If you’d like to sing or play, please sign up and then contact us via the web site before all of the time-slots are filled! There are quite a few pics indeed.